The best self tanners can give you the beautifully bronzed skin you desire without the harmful effects of the sun. Some are superior to others in terms of smell, final color, ease of application, price, and how long the tan lasts once applied. The best self tanners for you will depend on your skin type, how dark you'd like to be, and the maintenance you're willing to put forth in achieving that perfect glow. This mousse gives a beautiful brown glow with no orange or yellow tones, it dries quickly, is long lasting, and has a color guide so you can tell where it goes. The smell is light with the help of St. Tropez's Aromaguard™ fragrance technology, and it got 3.5 of 5.0 stars on Review Centre and 4.5 of 5.0 stars on Amazon.com. You get forgiving application with a dark color guard. It's also moisturizing, thanks to vitamin E and jojoba oil. 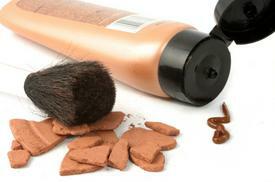 SUN offers a long lasting, believable rich brown final color on the face or body. There is a pleasant cherry almond scent. Reviews on Skin Care Rx give it five stars. There are thirty-five reviews for this self tanner on Clinique.com with an overall rating of four out of five stars. It's oil-free, non-acnegenic, and gives instant color that develops into a natural-looking tan. This lotion is light and easily blendable even though it has a tint. The tint is golden with a slight shimmer, and the smell is light and pleasant. This formula is non-streaking and gives realistic color. MakeupAlley.com ratings average 3.8 out of 5.0 stars. Some of the reviews claim that this product is easy for self tanning beginners to manage. The entire Sublime line does well according to reviews on MakeupAlley.com. Out of 174 reviews, eighty percent would purchase the gradual tanner, Sublime Glow, again, 73 percent of 124 reviewers would purchase Sublime Gelee in Medium-Deep, and most of the other products within the Sublime line-up did almost as well. Gelee and gradual are fast-drying, tint-free, and have a light floral scent. This is a gradual tanner so it's easy to control. The lotion is readily available at any drugstore and has no tint. It moisturizes and gives a gradual tan. It has a light scent. ConsumerSearch.com lists it as the best sunless tanning lotion/moisturizer. Clarins Gelee Auto Bronzant Express gets an average rating of 4.0 out of 5.0 on MakeupAlley.com, based on 195 reviews. It's also #4 on Oprah's Guide to the Best Self Tanners, and on Sephora, it receives four out of five stars based on 455 reviews. It's a clear gel that develops into a natural shade. It's light, has a light smell, and gives a golden yet natural glow. This one is good for sensitive skin and gives an instant glow. It got a 4.3 out of 5.0 stars on MakeupAlley.com based on 180 reviews. Reviews say that it smells like marzipan, dries quickly, has a dark color guide, pump packaging, and gives good color from one use instead of two to seven applications. Advantages of a Mystic tan include even color and a quick dry time. It's natural-looking, relatively long-lasting (around a week) and fades slowly rather than looking splotchy. The spray gets hard to reach areas, and it's a fast application method since it's sprayed in a booth. These offer easy application, a citrus fragrance, streak-free natural color, and no synthetic dyes or petro-chemicals. It rates a 4.6 out of 5 stars on Sephora.com with 14 reviews. You get five towelettes for all-over application or 10 for face. These also get the vote for ConsumerSearch.com's best tanning wipes.